At Elite Spas Northwest, we believe in the beauty of customization and the power of customer choice. We build around you with the creativity and experience that comes with over 2,500 installations. We invite you to make an appointment to visit our workshop in person so that we can tailor your installation to your exact needs. 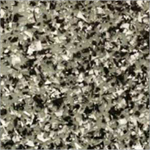 During your visit, you will be able to browse from our selection of spa shells to use as the basis for your project. 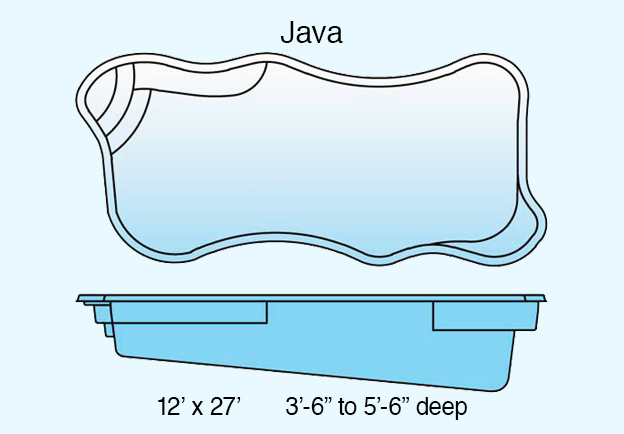 For hot tubs this includes sitting in your chosen shell so that we can determine the most beneficial locations for the massage jets, making sure they are placed in a way that soothes your individual aches and pains. We will explore your options for pumps, filters, heaters, and sanitizing equipment, and make recommendations based on expected usage. We will suggest a pump of appropriate strength based on the size of your installation so that you don't overspend or end up with a pump too weak for the task at hand. We will likewise advise you about filtration options and heating options such as gas, electric, woodburning, and geothermal. We take the time early on to discuss those options in detail so that you receive the most efficient and cost effective setup for your project. Finally, as true artisans, we will coordinate with you to ensure that your spa works with the living space around it. We can work with your existing deck and make recommendations on deck or landscape modifications to making sure the time you spend in your new spa is as aesthetically pleasing as possible. Make an appointment today to experience the comfortable atmosphere of custom spas that Elite can provide. "I discovered that Elite would custom fit the jets to my body. They placed the jets exactly where my back always hurts. It's made a great improvement in my overall quality of life." Owning a hot tub will make your life better! Soaking regularly in your new spa can improve your health, your sense of well-being, and your personal relationships with friends and family. 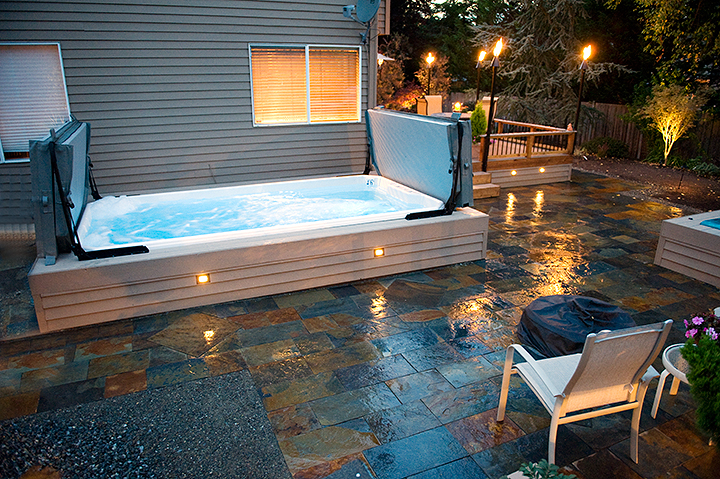 Few household fixtures can rival a hot tub at providing satisfying relaxation or relief after a hard day. 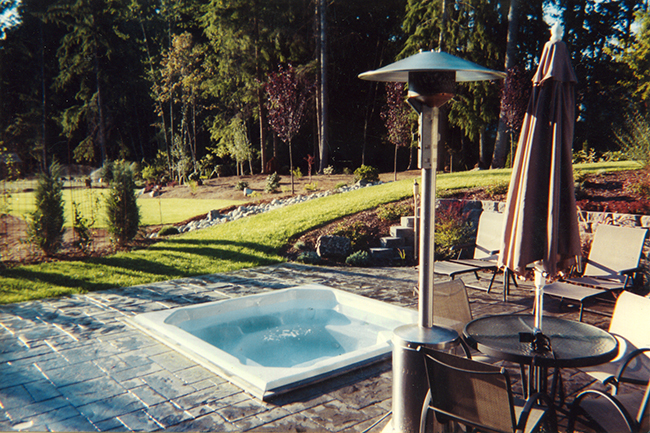 At Elite Spas Northwest, we take pride in the spas we install and the health benefits they bring to our customers. 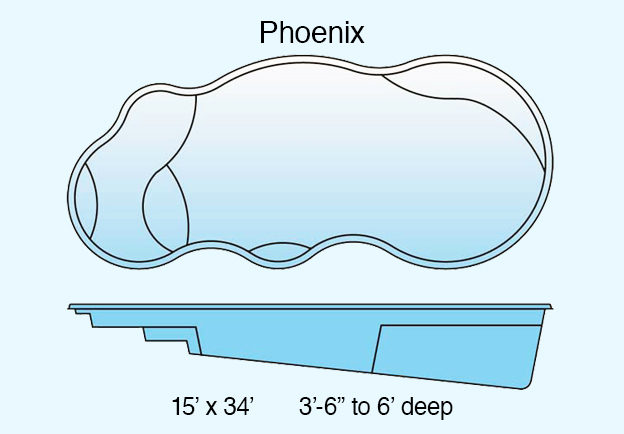 In order to fully experience these benefits, it’s important to choose the right hot tub. A hot tub that doesn’t work properly, requires constant repairs, or uses energy inefficiently may add more stress to your life than it reduces. 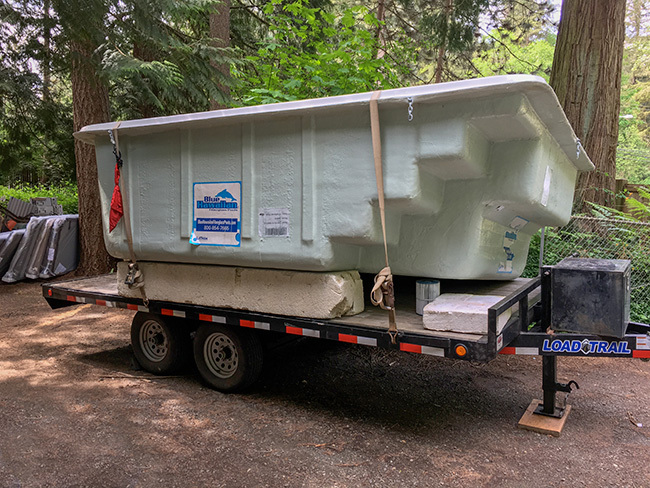 The hot tubs we offer plus our personalized “Elite Package” will ensure that the hot tub you purchase will be a worry-free joy to own for many years to come. 1) The heat in a hot tub raises your body temperature which increases circulation. Blood vessels respond to the warm water by relaxing and dilating which can help reduce blood pressure. The water puts pressure on your body which can help to increase cardiac volume. 2) Buoyancy relieves joint stress by reducing your weight by up to 90%, allowing the muscle groups normally responsible for maintaining proper posture to take a much-needed break. This relieves pressure on joints with a relaxing sensation of weightlessness. Buoyancy makes it easy to rotate your body through a variety of positions and angles, providing opportunities for stretching and relaxation. 3) Powerful pumps deliver deep massage that relax your muscles and enhance joint flexibility. The jets soothe away tension with hydro-therapeutic massage. These work together to provide a variety of health benefits that allow our customers to lead more active and fulfilled lives. The extraordinary hot tub designs we offer will beautify your backyard and the carefully considered ergonomic seating will provide you with a perfect relaxation space. Whether you want to improve your health, ease your mind, or find a new and fun way to spend time with your friends and family, a hot tub from Elite Spas Northwest is the place to start. Schedule an appointment with us to begin your personalized Elite Package process! "Elite Spas gave us an expert staff member who stayed with us throughout the entire project. This professional could always be reached and really made it easy for us. Simply the friendliest service in the industry." Swimming is one of the most complete and enjoyable forms of exercise. 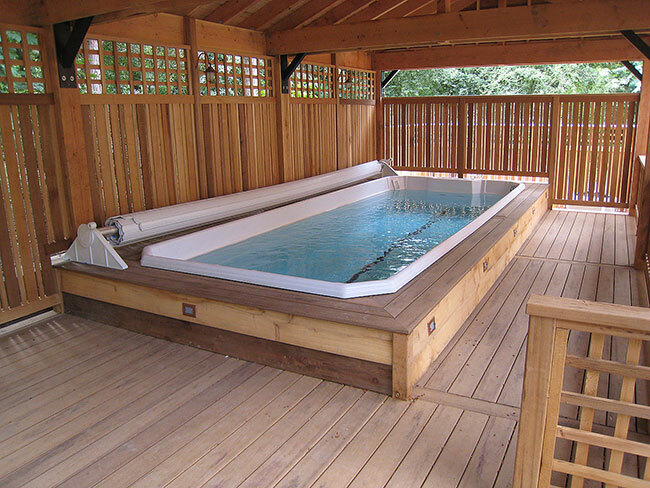 With a swim spa, that exercise can be brought to your backyard instead of you going to the pool. 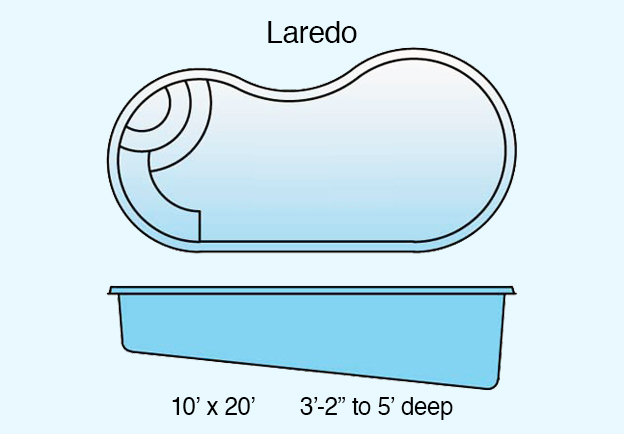 Swim spas are extra-large and specially designed hot tubs with powerful pumps that move the water so that you can swim in place, and the shells and covers are insulated to help them maintain a pleasant temperature for the swim. Intended for exercise through active swimming, the water temperature of a swim spa is kept about ten degrees Fahrenheit lower than a hot tub. 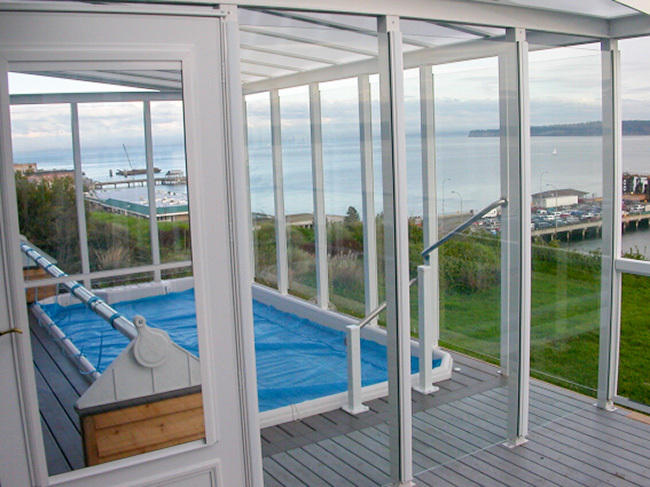 This can make a swim spa by itself impractical for achieving the heat and massage benefits of a standard hot tub. For this reason we often install both a hot tub and a swim spa which allows easy access to the muscle-relaxing heat and massage of a hot tub after a cardiovascular workout in the swim spa...the ultimate combination for at-home aquatic benefit and enjoyment. Swim spas can also be custom equipped for canine hydrotherapy which can help injured, aging, or obese dogs regain their health and to serve as part of a general fitness routine for dogs. 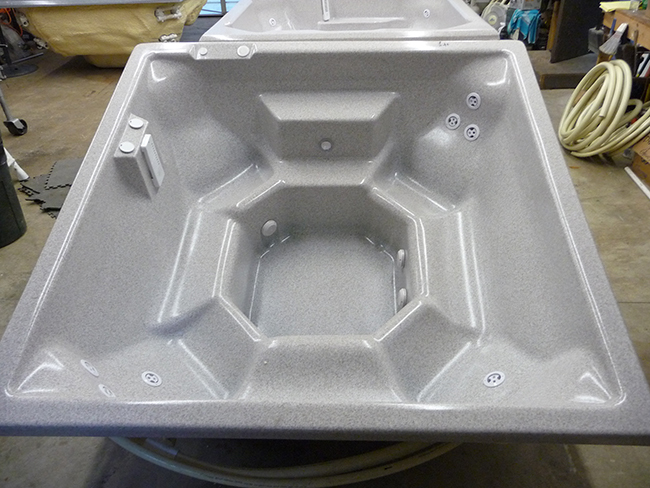 Elite Spas Northwest has several swim spa shells to choose from all with advanced features and options. Plus, the many specialties and extras included in our Elite Package guarantees you receive the best spa and installation suited to your needs and lifestyle. Make a request for one of our swim spas so that we can start the Elite Package process as soon as possible. 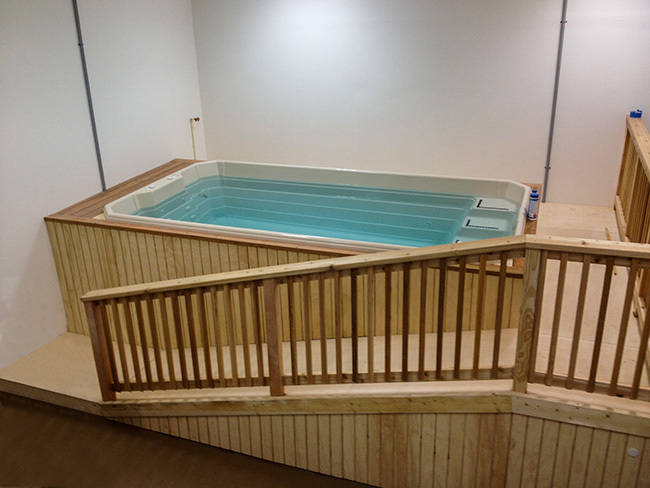 "My toughest decision was whether to get the hot tub or the swim spa. I love to work out but hate scheduling my time around public pool hours. 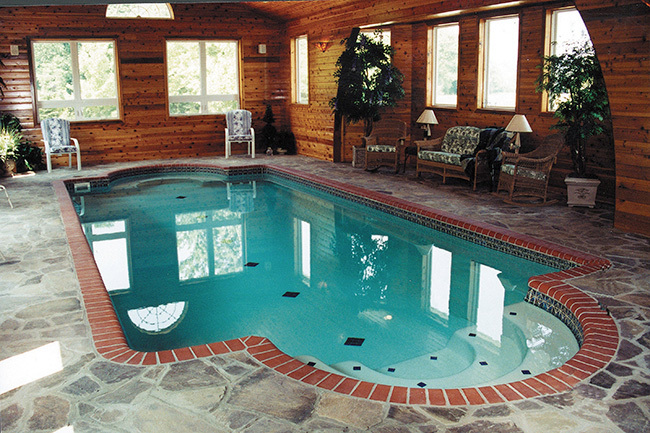 I chose the swim spa and love it... it's the ultimate combination of both hot tub and swimming pool." 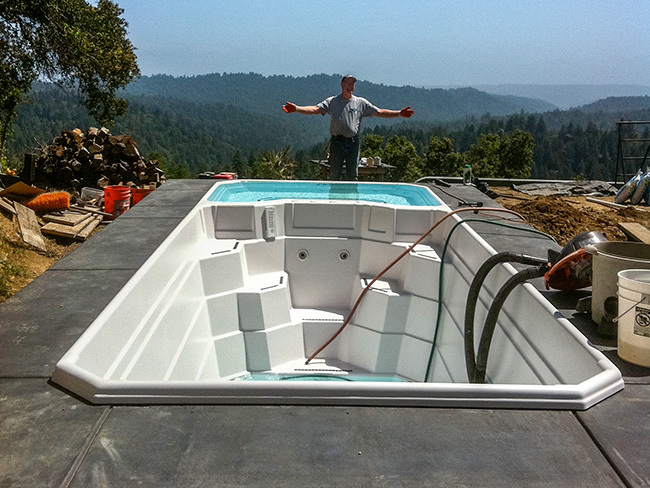 A fiberglass swimming pool from Elite Spas becomes much more than a place for swimming and fun. It is a solid investment in your property, its value, and a delightful long-term addition to your lifestyle. The pool will serve as a dramatic focal point of the yard especially when viewed from the house. Your purchase will translate into many years of family enjoyment including healthy exercise in a state-of-the-art product that combines long-lasting durability with aesthetically pleasing design. 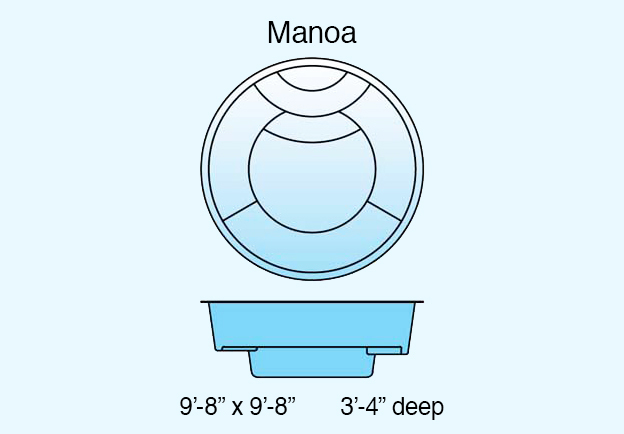 We sell and install swimming pools in many shapes and configurations up to 16 by 40 feet. We specialize in providing you with personalized solutions for your planned usage, built around your personality and lifestyle. Pools are a great way to stay fit and allow for increased overall health and can boost physical performance for athletic events. 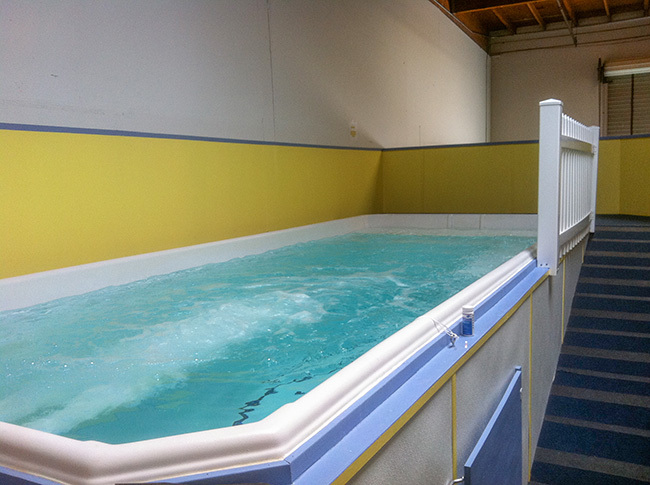 They can help decrease anxiety, depression, and improve mood, plus the benefits of simple hydro-therapy are well known. Pools can mimic the beauty of nature and their free-flowing shapes can transform even the most basic backyard into a simple resort-like destination. They can be complemented by a variety of strategically placed elements such as planters or fountains that would soften and complement the lines and angles of the pool. 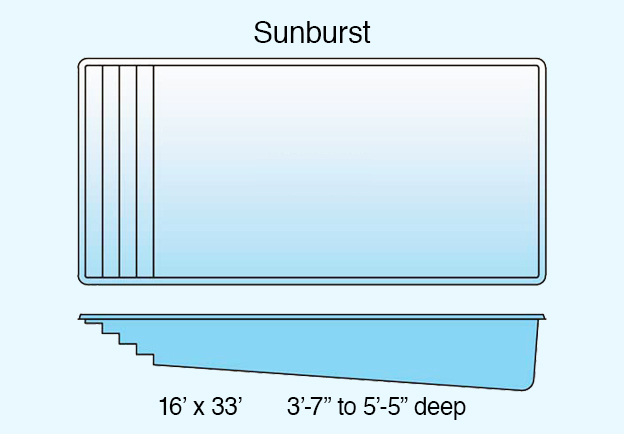 With minimal maintenance and no need for the resurfacing that concrete pools would typically require, a fiberglass pool is the smart choice for saving both time and money. 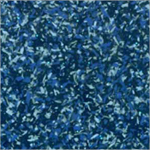 The smooth, easy-to-clean surface inhibits algae growth, requiring less scrubbing with harsh cleaners. For about 30 minutes of upkeep a month you can enjoy a backyard oasis that’s truly rejuvenating! 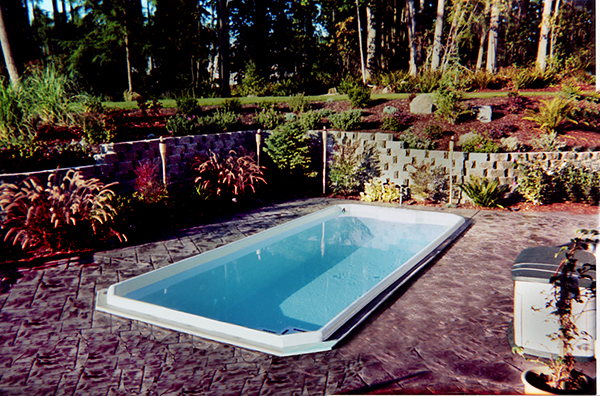 Fiberglass pools act as a natural insulator. 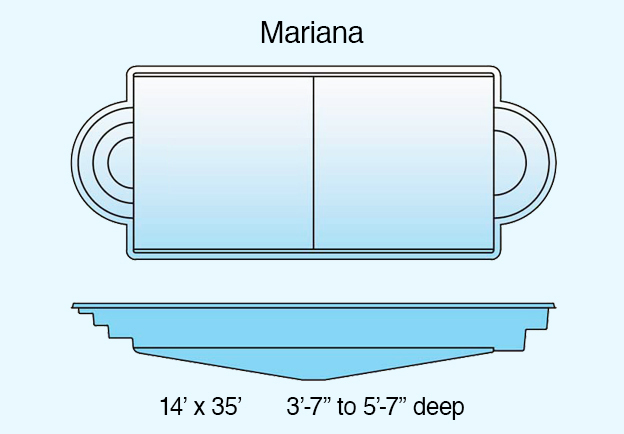 Your filter and heater will run less than equipment powering vinyl or concrete pools and depending on the climate and size of the pool, a homeowner can realize significant energy savings per month versus other types of pools. Talk with us about installing additional safety devices like surface alarms, safety covers and child-safety barriers to meet your local building and safety codes. We are excited and ready to provide you with a truly spectacular pool installation that will enhance your health and lifestyle for many years to come! 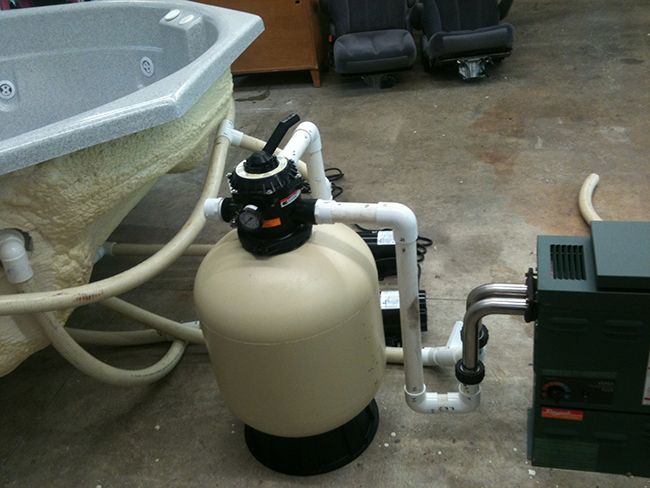 "We just purchased our pool from Elite Spas! Ordering is easy and friendly. The installation process and customer service were excellent. We've looking forward to many years of enjoyment!" The Elite Spas "Crate and Ship" Program offers you the ability to select and order a custom Hot Tub or Swim Spa from us and have it installed at your location using your local installer. We will get important information from you including general site measurements and specific details about how it will be installed. With this data we configure the equipment, cut the plumbing, pre-assemble all parts and accurately label each item matched to where they will be permanently installed. We then package and crate the entire assembly and ship it insured to your project site, ready for unpacking and final installation. During the process we are available for consultation at no additional charge to make sure your project ends up exactly as you had envisioned. Are you are outside of our service area but still interested in the Crate & Ship program? Then contact us to get your project started today! Elite is dedicated to ensuring that your satisfaction and needs are met with the highest quality products and services possible. "Friendly, informative service when you're making your decision and once you do buy, the installation was quick and professional. 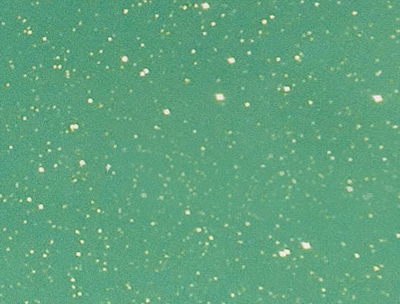 Always there to answer any questions that pop up about taking care of the tub afterwards, too!"